Larry Cornett, VP, Consumer Products, Yahoo! Jenni Tafoya, Vice President, comScore, Inc.
During the search, the eyes focus on the top left of the search results and branch out. Typically this behavior becomes second nature and searchers rarely search any deeper than the first page. As searchers do this, it allows their brains to fully interact with the results that they find. When a searcher is reviewing the search results, they may “pattern match” key words in the search results to determine relevancy to their goal. Once a search has been triggered, there is always research before action takes place. Most searches take less than 3 minutes before a new search is started. The more conditioned a person is to search, the faster they search. There are 7.1 million more people on line this year than in 2008. People are also searching more days per month and doing more searches per day. The steady growth of search engines show the search market remains strong. 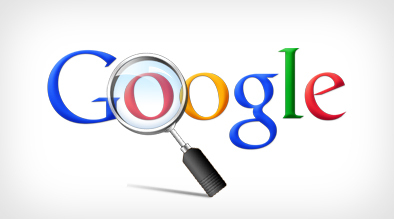 Google dominates the search market as the leading search engine; however, social media search is increasing causing alternate search engines, such as YouTube, to become competitors of Google. Video search has drastically increased due to YouTube. Local, Image and Social Networking sites also feature video search. Milestone’s promotion strategy has expanded to include many Social Media sites in our new promotion strategies. As more people search for places to travel to, pictures and videos are powerful tools in conversion as social media sites grow in familiarity and use. Although paid search can be a powerful tool for promotion, organic is still king and should be the primary focus of promotion strategies. Allocate some budget for the alternative search engines, the traditional search engines are still most commonly used. Organic has had the greatest growth in clicks at 32% versus last year. Conversely, people are clicking on fewer paid links. Help people find your site by using good content and easy navigation. Create Brand awareness that will build into a relationship with the searcher. Milestone’s promotions should still focus on organic search. As more people are using the internet to get information, it’s important to realize that people are becoming more conditioned to search and barely use any thought when conducting a search. Especially when sites such as YouTube are emerging as major search engines which enable people a visual preview of what they are searching for.